Members of the bipartisan group that intervened to bring the shutdown to an end hope the push for an immigration bill can reignite opportunity for debate. structural racism at its worst FC Cincinnati is seeking the right to acquire a major swath of land and properties from the Cincinnati Metropolitan Housing Authority for a potential stadium site in the West End. Chile’s president-elect, the billionaire businessman Sebastian Piñera, has unveiled a new hardline cabinet, including prominent conservative figures and some politicians once closely aligned with the Pinochet dictatorship. The new interior minister, Andres Chadwick, was a vocal supporter of August Pinochet during his 1973-1990 regime, which named him president of the Catholic University Students Federation. 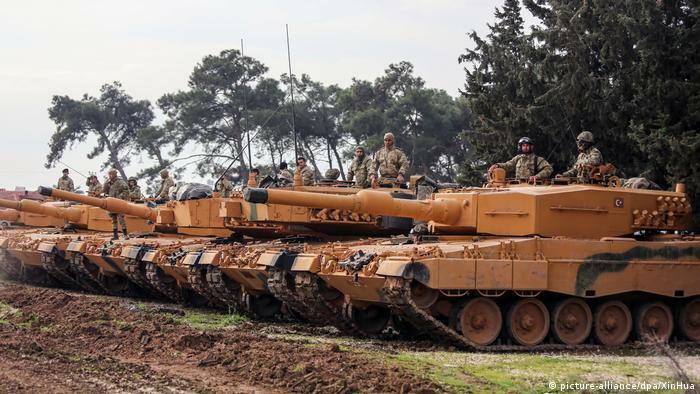 Germany’s government has faced a slew of criticism over German-made tanks that Turkey deployed in its push into Syria. Some politicians have called for an immediate halt to arms exports to Turkey and nixing a key deal. After a breakthrough at Monterey Pop, Redding returned to California, looked out at the water and wrote the song that would define his legacy. Fifty years later, the track will be celebrated at the Apollo Theater. Being well-known and well paid enables one to be dismissive who are neither well known or well to do? Harvey Weinstein and Woody Allen have found an unlikely defender in the influential feminist Germaine Greer, who has criticised the “whingeing” #MeToo movement. In an interview with Australian media before she was named Australian of the year in London, Greer said she had “always wanted to see women react immediately” when they were faced with sexual abuse or harassment. The Trans-Pacific Partnership trade pact, which had been on life support since Donald Trump’s withdrawal of the US a year ago, has finally been resuscitated. The 11 remaining countries are expected to sign an amended agreement on 8 March in Chile, Australia’s trade minister, Steve Ciobo, has confirmed. Brief: Linux Kernel 4.15 release has been delayed because Intel has not yet provided a proper fix for the nasty CPU bugs. And that has made Linus Torvalds go into swearing mode, again. Linux creator Linus Torvalds is furious. He is frustrated. He is using lots of cuss words as well. The year 2018 started on a bad note as the computing world has been rocked by Meltdown and Spectre bugs. These kernel memory bugs open the possibilities of malicious scripts stealing secret data such as passwords. It’s not only Linux that has been impacted. Windows, macOS, BSD etc have been equally impacted. Google found these vulnerabilities in Intel, AMD and ARM processor mid-last year. Intel was notified along with AMD, several Linux distributions, Microsoft, Apple and many other big players. While the operating system vendors are providing the software updates for the vulnerability, it is Intel who is responsible for fixing the issue at the firmware level. And apparently, Intel is not doing its job properly. Linux Kernel 4.15 was supposed to be released today i.e. 22 January 2018. But that didn’t happen because Torvalds is not feeling comfortable with its development. As most people were busy dealing with Meltdown and Spectre, the development of 4.15 got impacted. There are still pending fixes in the upcoming release. I really really wanted to just release 4.15 today, but things haven’t calmed down enough for me to feel comfy about it, and Davem tells me he still has some networking fixes pending. Laura Abbott found and fixed a very subtle boot bug introduced this development cycle only yesterday, and it just didn’t feel right to say that we’re done. Because of the pending fixes, Torvalds announced Release Candidate (RC) version 9 instead of the final Kernel 4.15. The last Kernel release to have RC 9 was version 3.1 back in 2011. Linus Torvalds hasn’t been happy about how Intel tried to downplay the Spectre vulnerability. He is clearly not happy how Intel is dealing with the fixes. 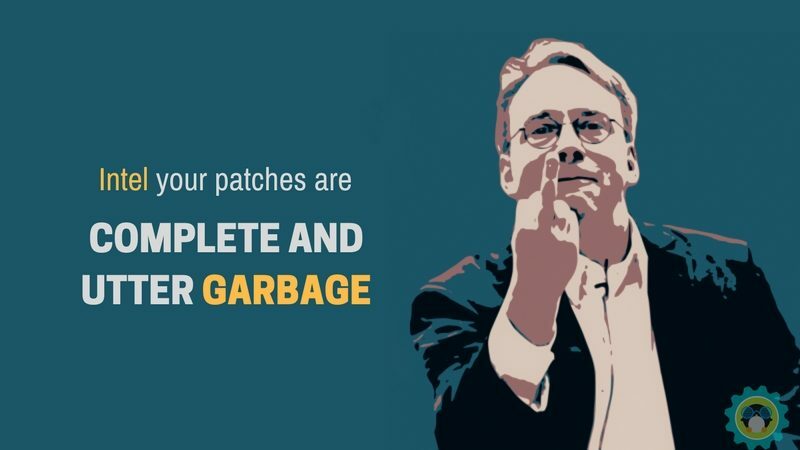 While Kernel 4.15 release got delayed, Torvalds had some nasty words for Intel development team over the Spectre bug fixes. You can read his unhappiness in the Kernel mailing list. So somebody isn’t telling the truth here. Somebody is pushing complete garbage for unclear reasons. Sorry for having to point that out. And then he goes on to call the fixes from Intel “COMPLETE AND UTTER GARBAGE”. Yes, that was in caps. F word was also mentioned in the mailing list. However, it seems that Torvalds has new year resolution of swearing less and hence he used asterisks instead of using the expletives uncensored. whole hardware interface is literally mis-designed by morons. Lots of caps lock, lots of swearing. That’s classic Torvalds. Considering that Intel hasn’t been able to fix the issue even after six months, it is only natural that Torvalds get frustrated as he likes to keep the Kernel secure and vulnerability-free. What do you think of the entire episode?